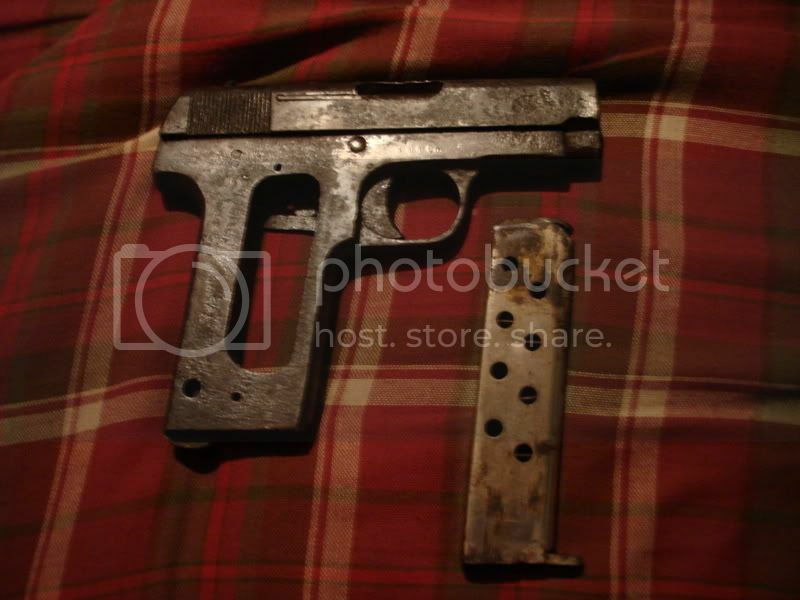 I have just recently acquired this gun that i have been told my great grandpa has found a long time ago while up in the mountains. 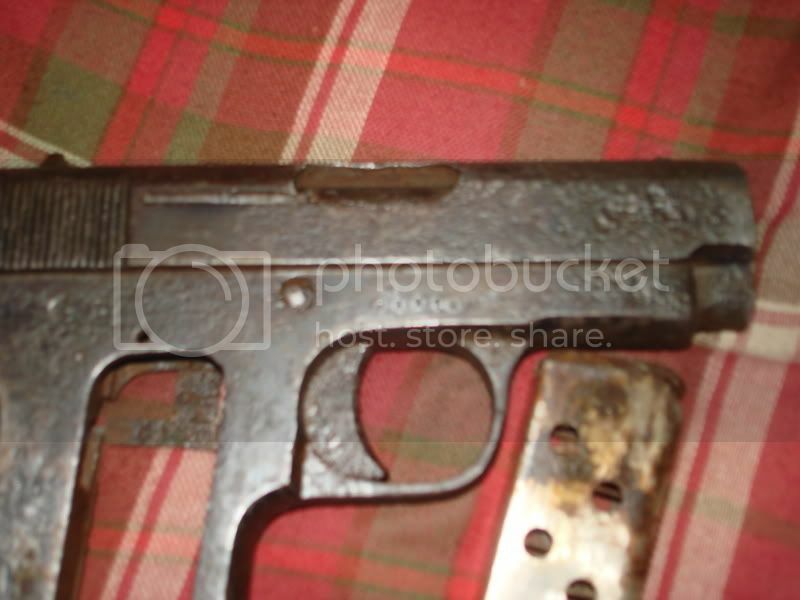 Its was buried under the ground for quite some time as you can tell by the pitting in the gun. You might get more info on the firearms forum. 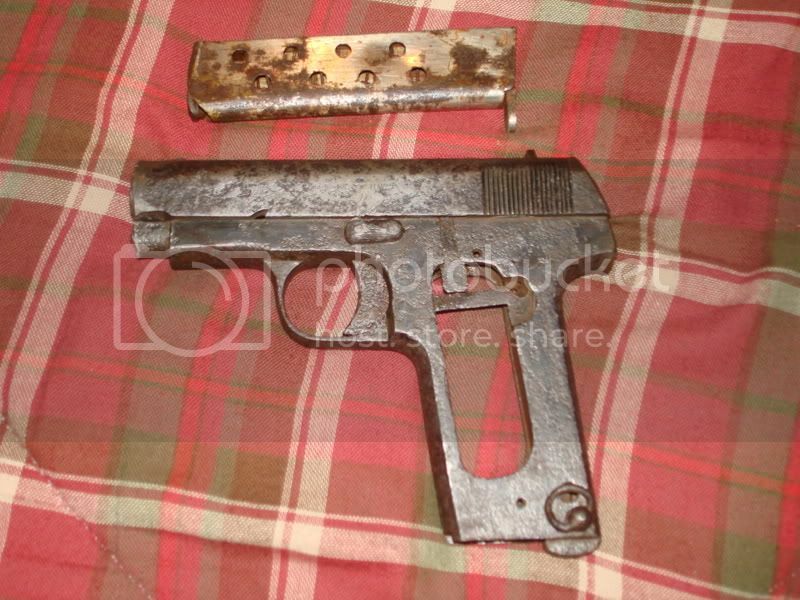 It looks like a "Ruby' type 7.65mm automatic made by the Spanish for the French in WWI. There were many manufactures of them. I will see if I can take a pic of a similar one for you. Here is a Vilar that looks very similar to yours. There are many variations and several that look just like this one. Some have small differences in lanyard loops and slide serrations and some look noticibly different. 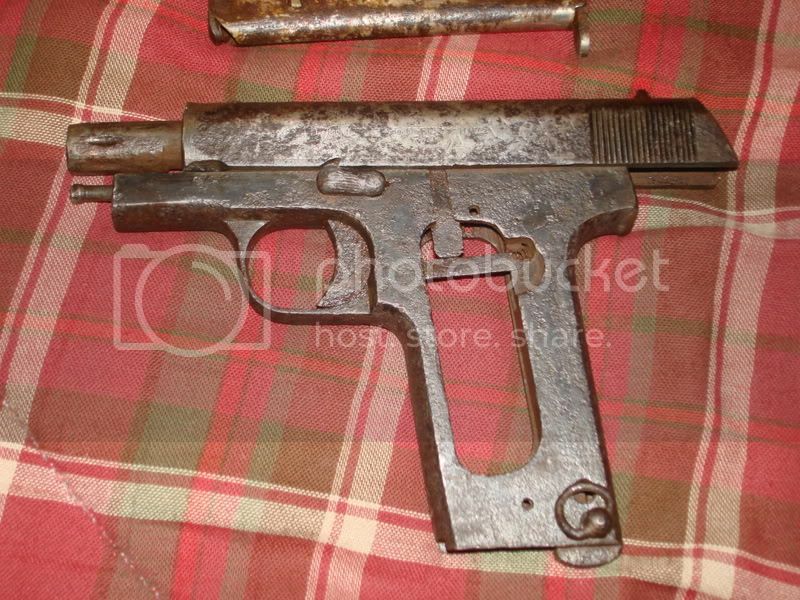 The gun is rought but it was prob used in the trenches of WWI and possibly in WWII. Thats a nice Gun !!! 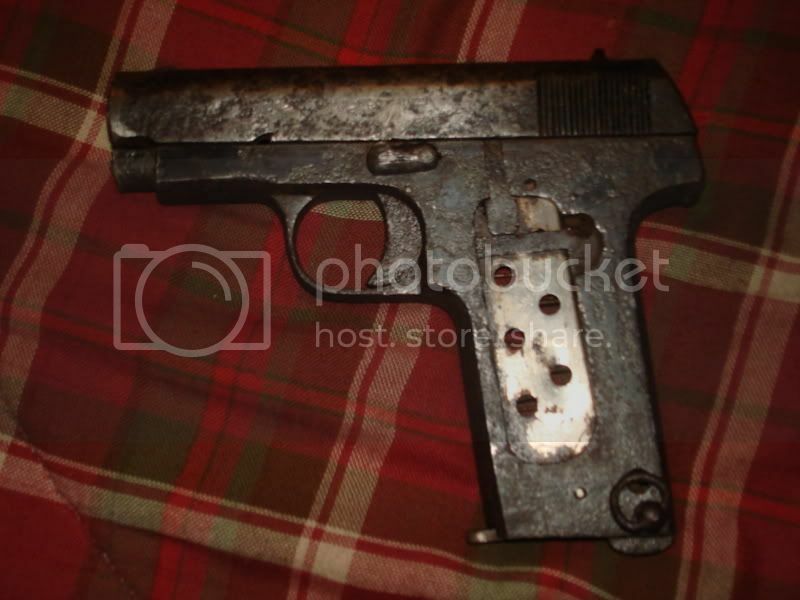 On the 24th of december 1942 in Algiers, the french Admiral François Darland was assassinated by a french partisan using one of these Rubys 7,65 mm. 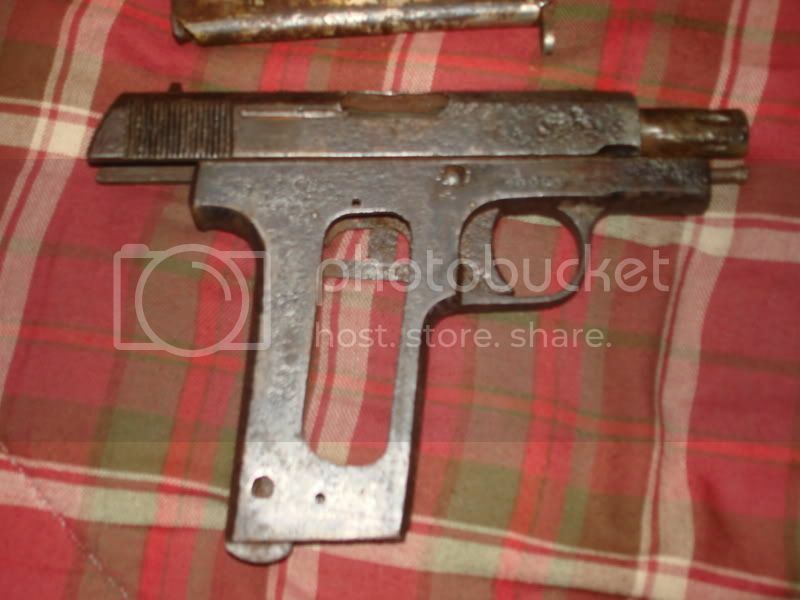 They are reliable handgun, except for the handle i think it has something very modern in its outline. 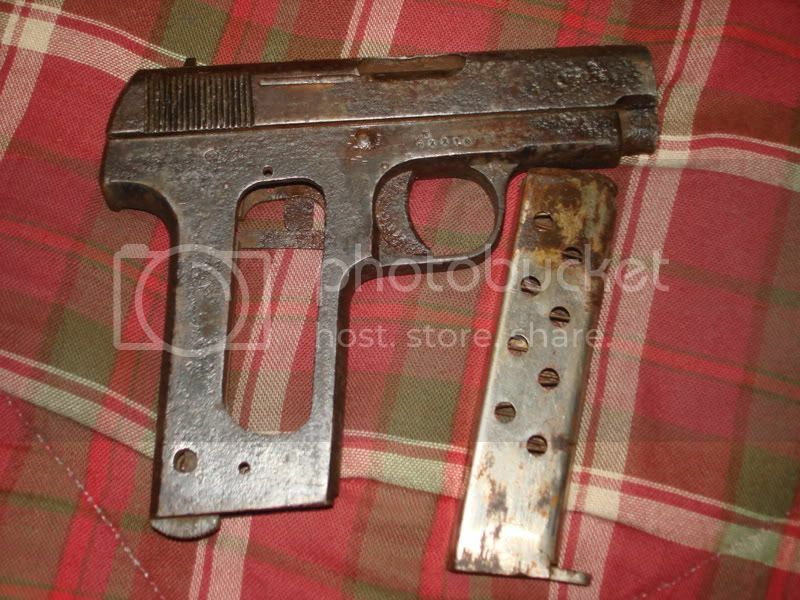 The leather holster that was used with this gun in the french army is quite awful IMO.